Andrew Adamatzky, Maciej Komosinski, eds. Artificial Life Models in Software. Andrew Adamatzky, Ben De Lacy Costello, Tetsuya Asai. Andrew Adamatzky, Christof Teuscher, eds. From Utopian to Genuine Unconventional Computers. Andrew Adamatzky, Lawrence Bull, Ben De Lacy Costello, Susan Stepney, Christof Teuscher, eds. Andrew Adamatzky, Ramon Alonso-Sanz, Anna Lawniczak, Genaro Juarez Martinez, Kenichi Morita, Thomas Worsch. Game of Life Cellular Automata. Physarum Machines: computers from slime mould. Bioevaluation of World Transport Networks. Reaction-Diffusion Automata: phemonenology, localisations, computation. 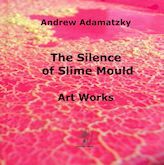 The Silence of Slime Mould: art works. The art works are the outcomes of scientific experiments that aimed to design computing devices made from slime mould. Slime mould Physarum polycephalum is a single-cell organism visible by the unaided eye. The slime mould computes by optimising its shape, electrical activity or location in response to stimulations. This fascinating mix of art and science offers an awe-inspiring look at the ways in which slime mould explores its environment and performs computation. Art works allow us to see the world through the "eyes" of the slime mould and show that the absence of a brain does not exclude an amorphous living creature from intelligence. Andrew Adamatzky, Genaro Juarez Martinez. Designing Beauty: the art of cellular automata. Advances in Unconventional Computing: Volume 1: Theory. This first volume presents theoretical foundations of the future and emergent computing paradigms and architectures. The topics covered are computability, (non-)universality and complexity of computation; physics of computation, analog and quantum computing; reversible and asynchronous devices; cellular automata and other mathematical machines; P-systems and cellular computing; infinity and spatial computation; chemical and reservoir computing. Advances in Unconventional Computing: Volume 2: Prototypes, Models and Algorithms. Inspired by Nature: essays presented to Julian F. Miller on the occasion of his 60th birthday. This book is a tribute to Julian Francis Miller’s ideas and achievements in computer science, evolutionary algorithms and genetic programming, electronics, unconventional computing, artificial chemistry and theoretical biology. Leading international experts in computing inspired by nature offer their insights into the principles of information processing and optimisation in simulated and experimental living, physical and chemical substrates. Miller invented Cartesian Genetic Programming (CGP) in 1999, from a representation of electronic circuits he devised with Thomson a few years earlier. The book presents a number of CGP’s wide applications, including multi-step ahead forecasting, solving artificial neural networks dogma, approximate computing, medical informatics, control engineering, evolvable hardware, and multi-objective evolutionary optimisations. The book addresses in depth the technique of ‘Evolution in Materio’, a term coined by Miller and Downing, using a range of examples of experimental prototypes of computing in disordered ensembles of graphene nanotubes, slime mould, plants, and reaction diffusion chemical systems. Advances in sub-symbolic artificial chemistries, artificial bio-inspired development, code evolution with genetic programming, and using Reed-Muller expansions in the synthesis of Boolean quantum circuits add a unique flavour to the content. The book is a pleasure to explore for readers from all walks of life, from undergraduate students to university professors, from mathematicians, computer scientists and engineers to chemists and biologists.